For the last 25 years Veteran Custom Home Builder Michael Cleary has been creating some of the most outstanding luxury homes and estates throughout Baltimore and in the surrounding counties of Harford, Baltimore and Howard counties. These homes’ classic architecture, modern features and fine craftsmanship demonstrate Michael’s ability to build his clients Dreams into Beautiful Reality. Known for his integrity, creativity and attention to detail, Michaels reputation is as solid as his magnificent well-built homes. There are only a few homebuilders with the talent and experience to craft award winning homes time after time. For those custom homebuyers who are fortunate enough to appreciate and afford the timeless architecture and fine craftsmanship, Stone House Builders offers exciting building opportunities. 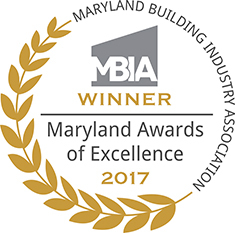 Honored as an Award-Winning Custom Home Builder, Stone House Builders, LLC is the Winner of The MBIA Luxury Home $1,000,000-$1,500,000 Award Sponsored by the Maryland Building Industry Association (MBIA) and the National Association of Homebuilders (NAHB). We invite you to browse our website and we welcome the chance to meet with you in person – please call to schedule a personal non-obligatory meeting.